Haus 820 (pronounced “House eight twenty”) officially opened March 18th, 2017 as Lakeland’s newest event venue. 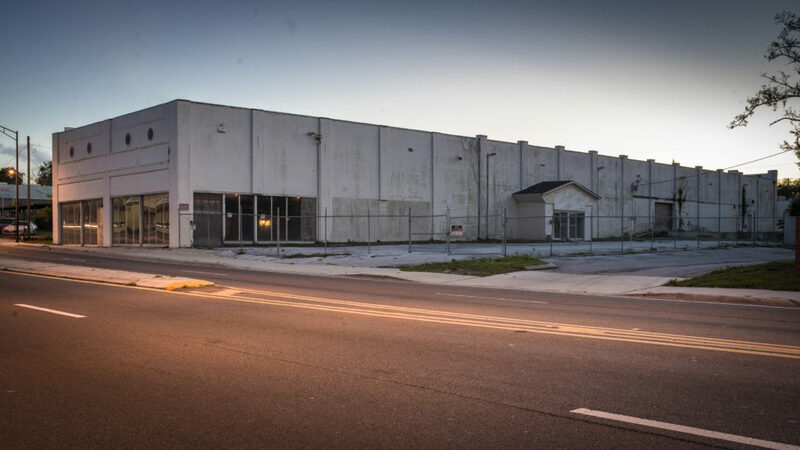 We are part of a redevelopment project spearheaded by the City of Lakeland’s Community Redevelopment Agency in the Mass Market neighborhood, located just north of Lakeland’s downtown. 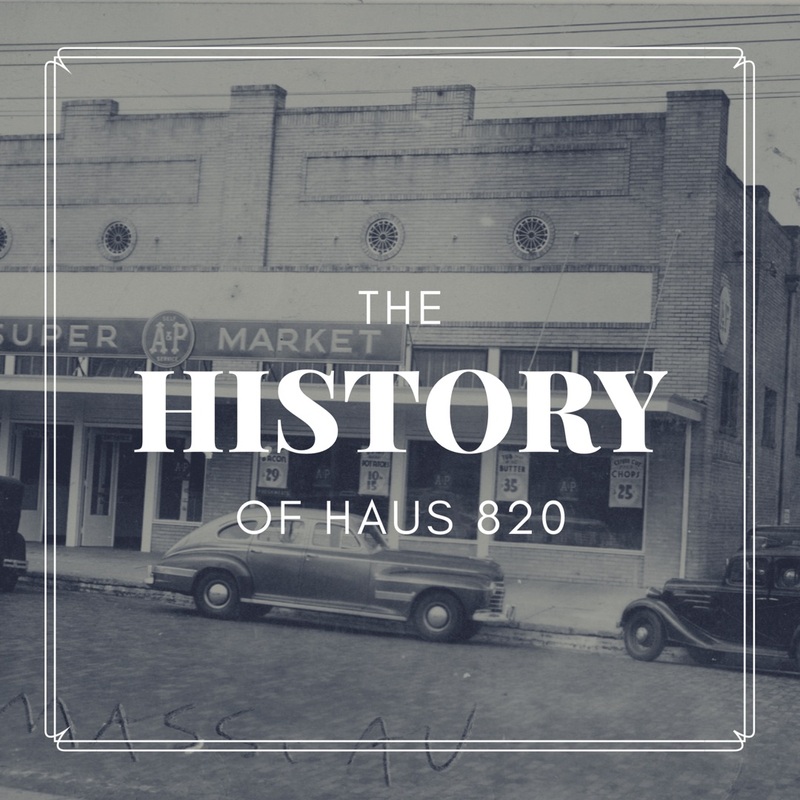 Our Haus has great bones, thanks to it’s original use- an A&P grocery store built in 1924. 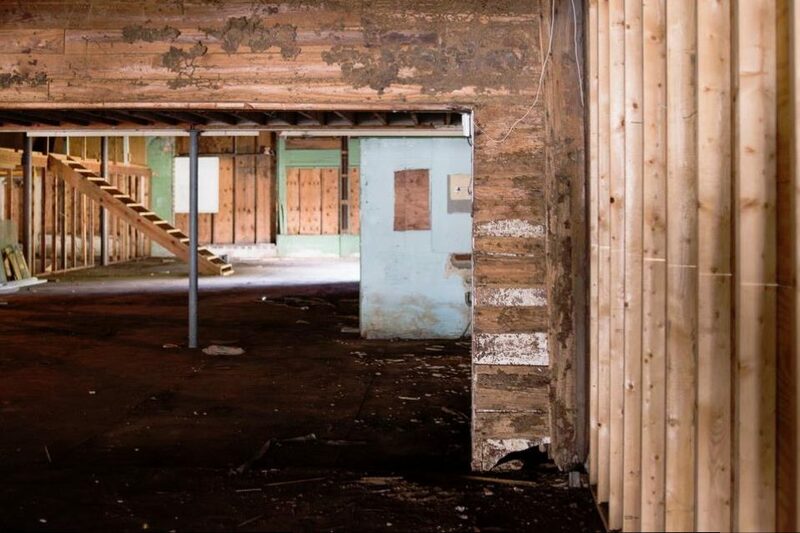 The original wood rafter ceilings stand 22 feet high. One of our favorite details in the building is that our grey stained & sealed concrete floors still show some of the original shopping aisles! It’s a sweet detail for the keen eye. 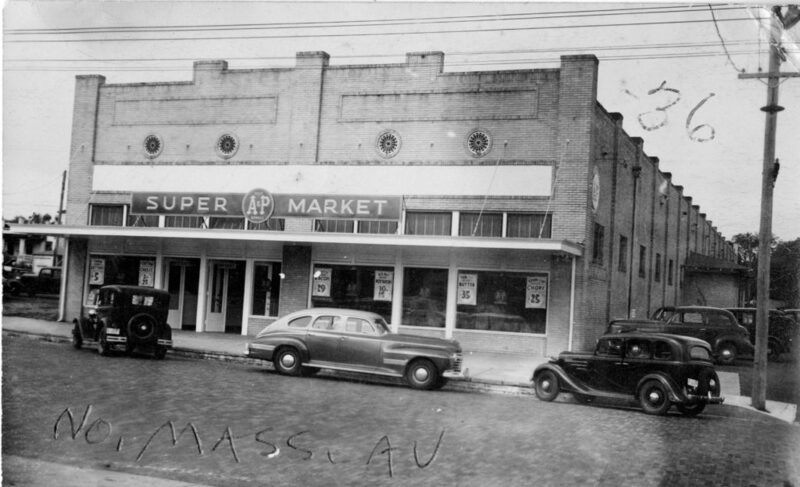 The picture below, courtesy of the Special Collections – Lakeland Public Library, shows a picture of the A&P Supermarket open for business. Those were the days, right, when bacon was only $0.29/lb? The street has gotten much wider, as we are located on one of the main corridors through our city- you can follow I-4 straight to the heart of downtown Lakeland. 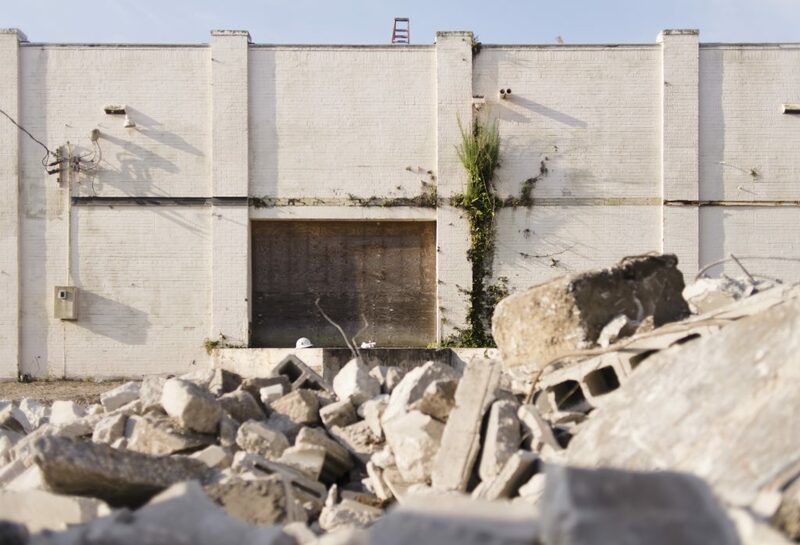 The supermarket was eventually sold and the building became a furniture warehouse. The walls were covered with a green plaster, and layers and layers of pegboard. 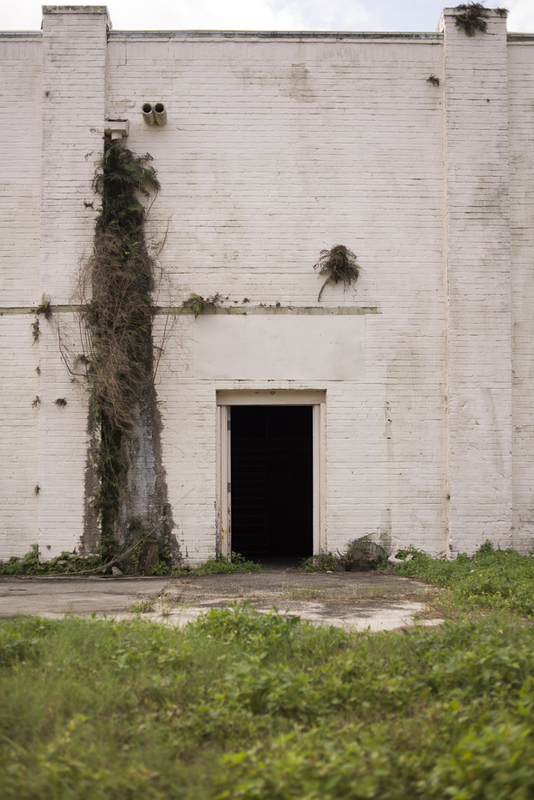 When the warehouse eventually closed, the industrial building then sat dormant for years. 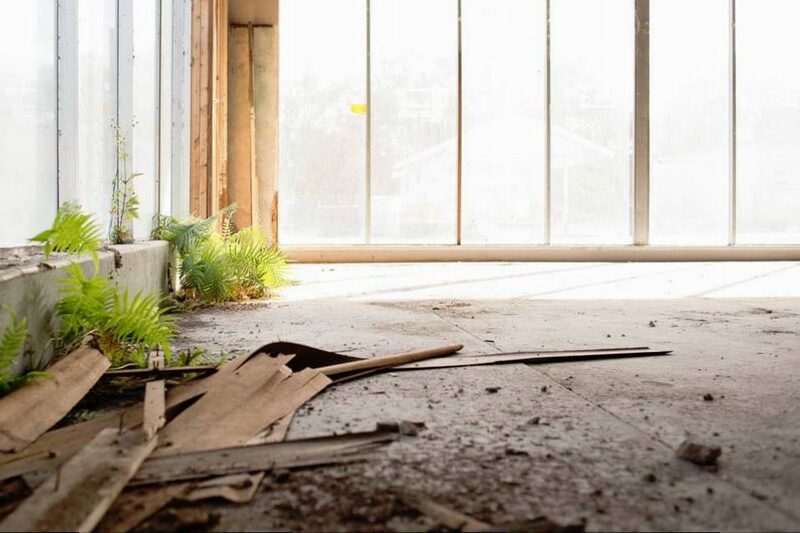 A few images below, captured by Jason Stephens, captured the state of the building before the redevelopment project started. We had plants growing all over inside! 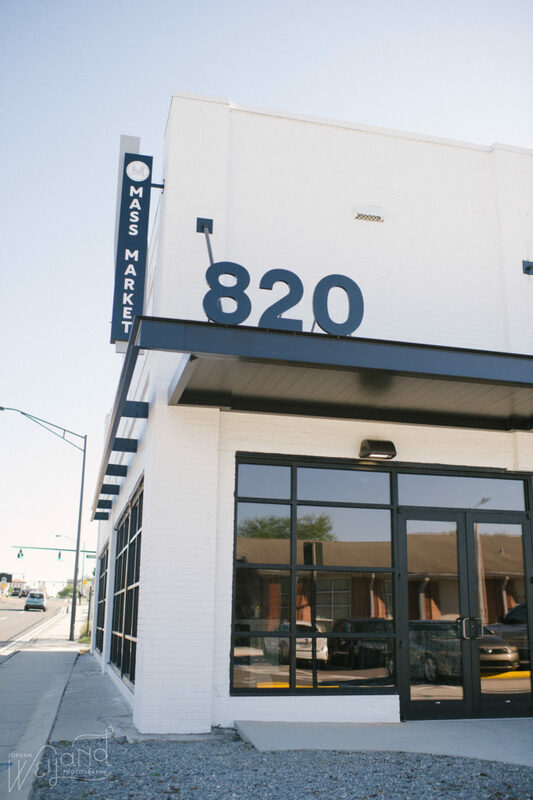 It was quite the 15-month renovation, if we do say so ourselves! 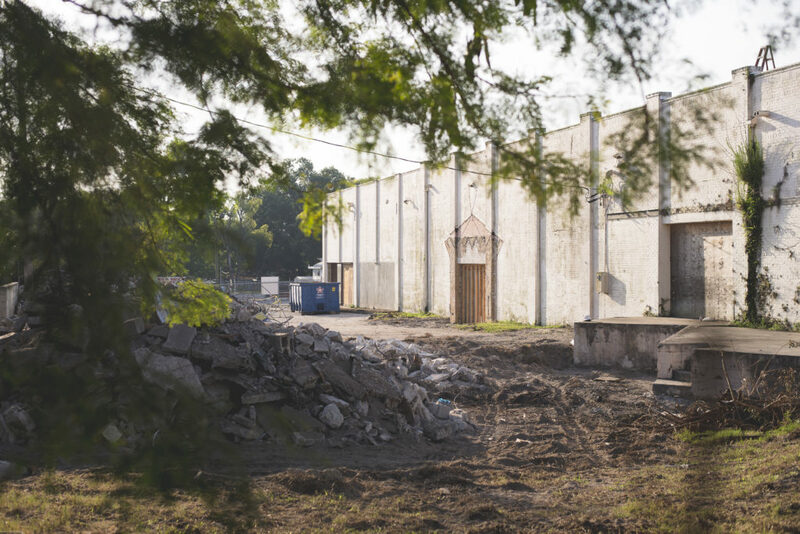 We cannot wait for you to make our Haus your home in Lakeland’s newest event venue. Contact us today!